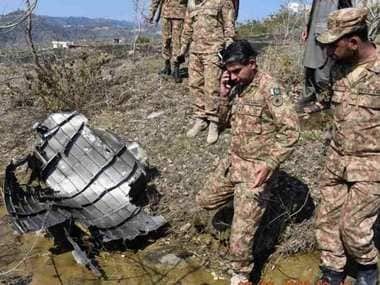 Air Vice Marshal RGK Kapoor on Monday said that the Indian Air Force (IAF) has "irrefutable" evidence that Pakistan used an F-16 jet on 27 February, which was shot down by IAF's MiG-21 Bison flown by Wing Commander Abhinandan Varthaman. "F-16 of Pakistan Air Force (was) conclusively identified by its electronic signature and radio transcripts," read the statement. The IAF claimed that the F-16 disappeared from radar after the pilot of MIG-21 struck it. Air Vice Marshal Kapoor also said that there is credible evidence indicative of the fact that Pakistan has lost one F-16 but, due to security reasons, the information was not presented on public domain. During an aerial engagement after the Balakot air strikes, a MIG-21 Bison was shot down and its pilot Wing Commander Abhinandan Varthaman captured by Pakistani authorities. 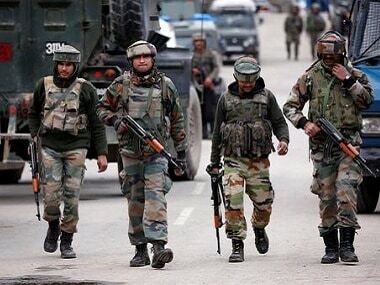 In the Balakot air strike, India claimed to have killed "largest" Jaish-e-Mohammed (JeM) camp and also to have brought down a Pakistani F-16 the following day. 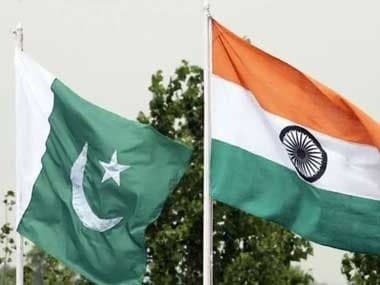 Meanwhile, Pakistan refuted the claims of India of striking down the terror camp in Balakot and also rejected its assertion of bringing down the F-16 fighter plane. Pakistan prime minister Imran Khan on Saturday accused the BJP of "whipping up war hysteria", saying its false claim of downing a Pakistani F-16 has "backfired", days after a leading United States magazine claimed that none of the US-manufactured fighter jets of the PAF were missing. Washington-based Foreign Policy magazine reported on Thursday that American personnel recently counted the Pakistan Air Force (PAF) F-16s and found none of the planes missing. It quoted two senior US defence officials with direct knowledge of the situation. The Indian Air Force, however, stuck to its stand on Friday, saying that it had conclusive proof of shooting down a PAF F-16 on 27 February. Reacting to the Foreign Policy report, Imran took to Twitter to criticise the ruling Bharatiya Janata Party (BJP). The Indian Air Force on 28 February displayed pieces of the AMRAAM missile, fired by a Pakistani F-16, as evidence to "conclusively" prove that Pakistan deployed US-manufactured F-16 fighter jets during an aerial raid targeting Indian military installations in Kashmir. Pakistan has denied that one of its planes had been downed by the IAF. According to the magazine, Pakistan invited the US to physically count its F-16 planes after the incident as part of an end-user agreement signed when the foreign military sale was finalised. "The findings directly contradict the account of Indian Air Force officials, who said that Wing Commander Abhinandan Varthaman managed to shoot down a Pakistani F-16 before his own plane was downed by a Pakistani missile," the report said. Lara Seligman of the magazine later updated the story, saying "the F-16s Pakistan bought from Jordan have also been included in the count and even third-party transfers of US equipment must go through the US government". Reacting to the report, the IAF asserted that it had shot down an F-16 aircraft of the PAF on 27 February during aerial combat.